The vinegary side of the personality of Barbara Bush appears frequently in Susan Page's new biography. But Page, the Washington bureau chief of USA Today, has written a more complete and highly readable portrait of the wife of the 41st president and mother of the 43rd. Only the second first lady to hold that distinction, as a wife and mother of presidents (Abigail Adams was the other), Bush must rank among the premier political matriarchs in American history, along with Rose Kennedy. Unlike the Kennedys, however, the Bushes eschew the dynastic label, believing that it makes them seem entitled. And yet entitled they were. George H.W. Bush was born into privilege, and his future wife lived a comfortable upper-middle-class childhood in Rye, New York. What makes Page's biography such a notable contribution to our understanding of Barbara Bush is the access she gave the author to private diaries dating to 1948 and five interviews she granted in the months before her death. The narrative also benefits considerably from conversations Page conducted with Bush 41 and 43; President Bill Clinton; and more than 100 Bush family members, friends and former aides. We learn that Barbara Pierce adored her father, Marvin, a successful businessman who would become publisher of McCall's magazine, but she had a fraught relationship with her difficult mother, Pauline, that contributed to Barbara's harder edges. Caught in the pre-World War II expectations that young society girls attended prep school and “finished” at women's colleges, Barbara had no plans to pursue a career outside the home. Swept off her feet at age 16 by a dashing Andover student, “Poppy” Bush, at a 1941 Christmas dance, she dropped out of Smith to await the return of her beau from the South Pacific. 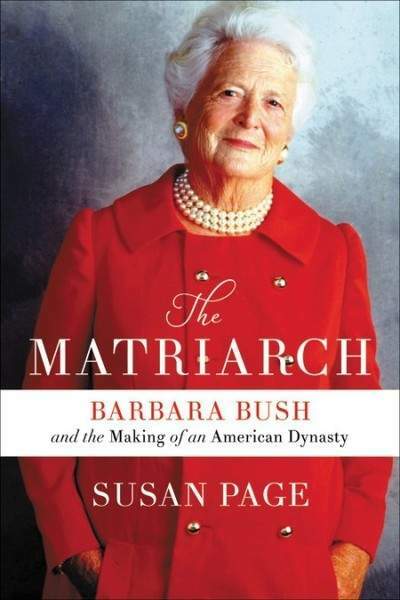 Page begins her book with the crucible that shaped the Bush marriage, the well-known tragedy of their daughter Robin's death from leukemia at age 3 in 1953. They would never stop missing Robin or pining for her presence. A most revealing passage about Bush's policy positions as a political wife reveals how holding her dying daughter and feeling the little girl's soul dissipate shaped her posture toward abortion. Much like the Kennedys, tragedy haunted the Bushes. After Robin's death, Barbara lost her mother in a car accident and suffered a miscarriage while her husband was away on business in the early 1960s. As his career soared, she was left to govern an eventual brood of four rambunctious sons and one adored daughter. Approaching mid-life, she fell into a deep depression and even contemplated suicide. Bush was no Eleanor Roosevelt in terms of policy impact, but Page masterfully proves her point that simply by having the ear of two presidents (and one presidential candidate) in careers that spanned from Reagan to Trump offered her the opportunity to influence policy and political strategy. Bush was more than an acid-tongued truth-teller or white-haired grandmotherly figure. From HIV/AIDS to Cold War diplomacy to the 2003 Iraq invasion to political score-keeping to character-judging, the first lady held forth with her husband, sons, senior government officials and foreign dignitaries. Like the arc of her life itself, she created a bridge for first ladies that reached from traditional feminine pursuits to modern feminism. This definitive biography is a welcome contribution to our understanding of the complex role of presidential spouses. Barbara Perry, the Gerald L. Baliles professor and Presidential Studies Director at the University of Virginia's Miller Center, is the author of “Jacqueline Kennedy: First Lady of the New Frontier.” She reviewed this book for the Washington Post.